@ riz.. adviser man jud.kaw pa.
@topic. yayay! 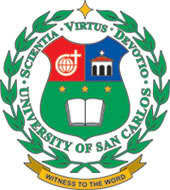 tanan man siguro carolinian. carzcarz wrote: prettiest carolinian i knw? ug si _ _ _ D A _ _ _????????????????????????????? so that i can agree with you guys..
@pig: if you want to know who is kurdapya, jake & riz, u can look at their avatars or the Show Your Face thread..
^ koug neg Eb huff/? ?